Residential property managers are responsible for meeting tenant expectations and keeping operating costs low. That means implementing preventative repair and maintenance strategies designed to streamline property management responsibilities in a time and money-saving fashion. SMS Assist understands the need for robust residential repair and maintenance strategies. Our proprietary technology simplifies maintenance by providing complete access to the resources and information property managers need to execute top-tier maintenance strategies. To implement and execute robust residential repair and maintenance strategies, property managers need a solution that facilitates transparency, efficiency and optimization. Residential buildings require regular upkeep to maintain their integrity. Whether windows need washing or building interiors need new paint coats, residential property managers need to know the job will be completed in a time and cost-efficient manner. SMS Assist optimizes residential repair and maintenance by giving property managers the tools to oversee maintenance from start to finish. Our contractors (known in our network as Affiliates) are dispatched to handle residential property needs. 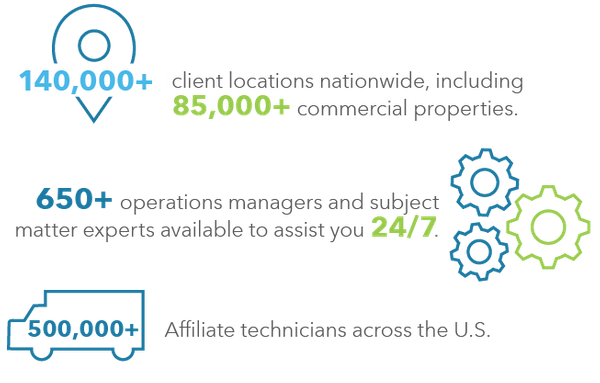 Using our proprietary technology, One by SMS Assist, residential property managers are empowered with total visibility into maintenance operations. Our technology and unique business model reduce work order requests and down-the-line costs like invoice processing, resulting in more long-term savings. Residential property managers have 24/7 visibility into every aspect of their maintenance strategy, from spend to quality assurance. SMS Assist is backed by a $50 million indemnification policy, providing all parties with peace of mind and protection from claim-related incidents. In-house operations specialists ensure only knowledgeable, industry-seasoned professionals are dispatched to resident buildings to handle work order requests. Data from our platform provides powerful portfolio insights, empowering property managers to make strategic business decisions. Better residential repair and maintenance starts here.